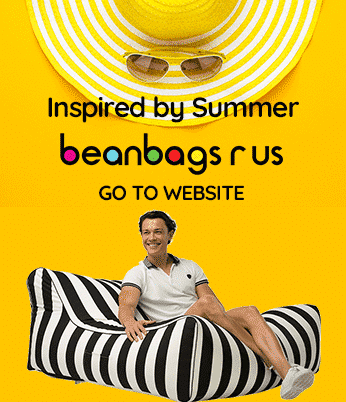 Bean Bags R Us NewsBean Bag LoungesWhat are the Relaxation Benefits Of Bean Bags? How often do you take a break and relax? If you’re like most people, that answer is ‘not very often.’ Did you know that not taking the time to unwind can have a dramatic impact on your mind as well as your body? With a little understanding and practice, you too can learn how to minimise the impacts of stress and tension on your life, and learn how to enjoy things to their fullest. Not taking enough time for yourself can lead to a host of health problems, and can lead to a decrease in mental health as well, which is why it is essential to learn how to relax. Constant stress and tension can make many people feel like they are always behind on things, which can manifest as problems like tight shoulders, headaches, and a foggy mind. Even just a few minutes of relaxation a day can lead to a clearer mind, which can make you feel better all over. The best part is that it’s free, quick, and easy to do, no matter where you are! The first thing you should do if you are trying to learn how to unwind is to minimise the stress in your life. Doing this may mean learning to let things go more often, to just turning off email for some time every day. Shutting out these distractions can often go a long way for many people, which is why if you’re new to relaxation techniques it is imperative to get in the habit of creating a calm environment. Once you have created a calm environment the next step is to focus on your breathing. Your breathing should be even and slow, which can help to calm a racing heart or heavy stress. After you have gotten comfortable with slower breathing, you should work toward taking deeper breaths. Deep breathing can assist you to relax and can be useful if you have trouble sleeping as it can loosen tension in the muscles. The beauty of a breathing technique is that you can use it anywhere, even if you don’t have a calm environment to do it in. You can do it on the bus, before a meeting, or even in a crowded place. Remember to breathe! It may sound strange at first, but regular exercise is another critical component to staying relaxed and healthy. The reason for this is exercise improves your body and can help reduce tension. Exercise does not have to be hard to be helpful – you can take a simple walk around the neighbourhood or at the park every day and still get valuable health benefits. Another essential aspect of relaxing is to remember to enjoy life. As they say, laughter is the best medicine, and in some cases, it is! Taking time to laugh can have a significant impact on how well you feel! No matter where you live or what you experience in your life, you should always try to save some time in your day for relaxation if you want to improve your health and well being. A bean bag offers full body support and a level of comfort not found in most conventional chairs and lounges. You will attain the ultimate level of relaxation when your entire body is relaxed, and you are not using any muscles to support your limbs. Sometimes we tend to lean on our hands or elbows, placing unnecessary pressure on specific body parts. If you relax in a beanbag, ensure you stretch and tighten your muscles individually for the best effect.